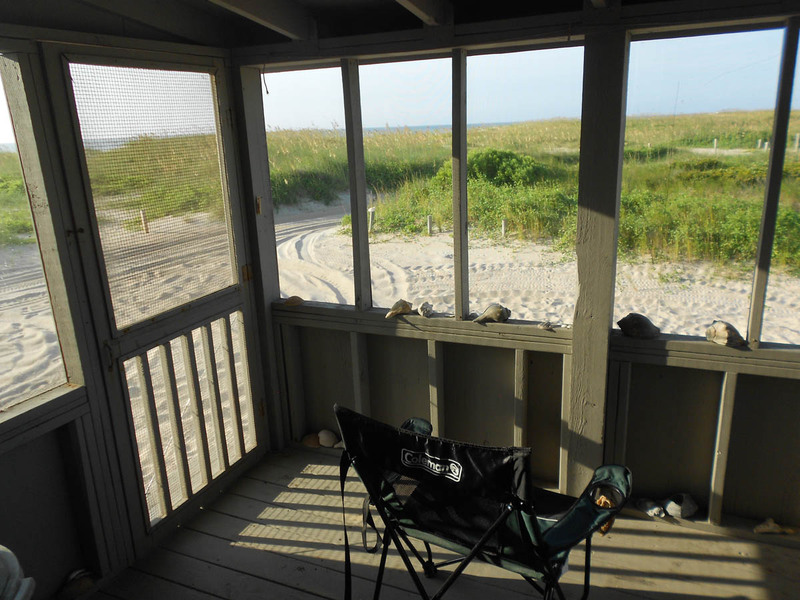 After hearing the Park Ranger talk about the remote, rustic Great Island Cabins over on the Cape Lookout barrier island as the ideal place to “get away from it all,” and fall asleep to the lull of the ocean waves after a night of brilliant star gazing, I decided to leave the Winnie behind for a one night sample. It is a short 45 minute ferry ride from the mainland over to the Great Island Campground. Since this is a private ferry, not a State run ferry, I opted to “walk on” to avoid the $80 ferry crossing fee required to bring the Tracker. The nice guys that work at the Ranger Station meet all the ferries with their “Gator” (a two- seater ATV) and haul your stuff to your cabin, equipped with bunk beds with mattresses, propane stoves, flush toilets, and running hot and cold water. But no electricity and therefore no refrigeration, so you must bring a ice chest, along with all your own linens and cooking supplies. Pretty much like camping, only without the tent! 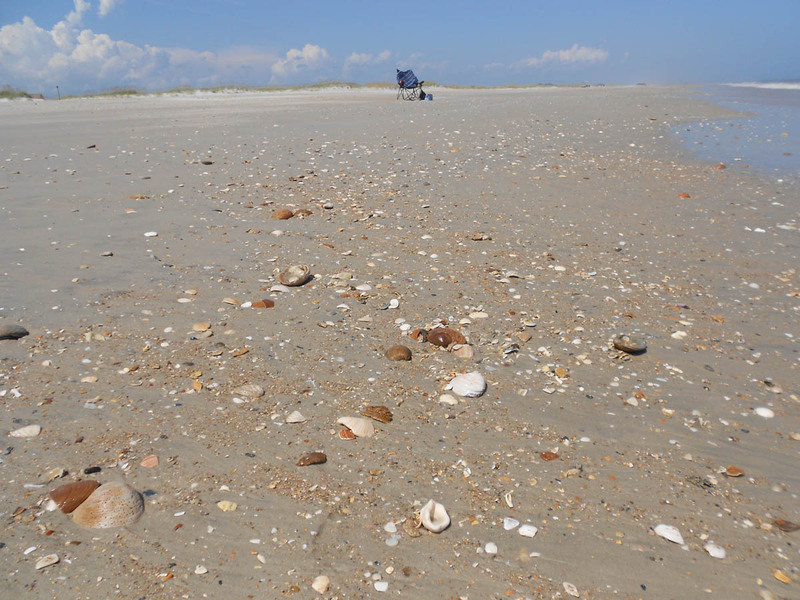 The practically deserted beach is only a few minutes walk from the cabins. 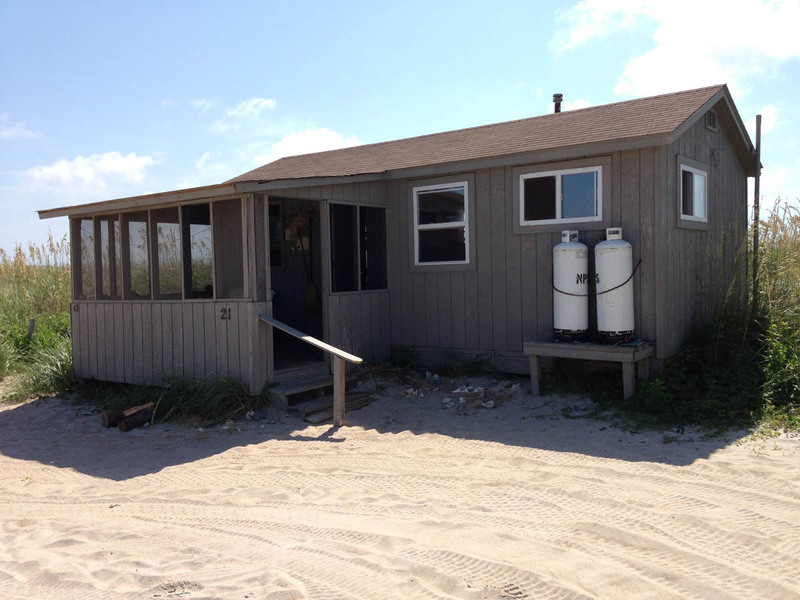 In some cases, the cabins are right on the water’s edge, but Hurricane Sandy deposited a few small dunes in front of mine. 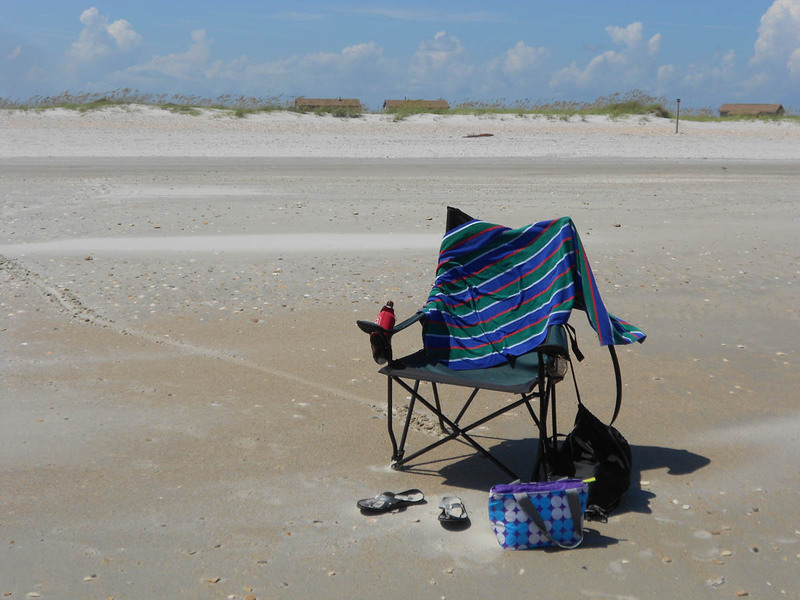 Still, it is an easy walk back and forth to the beach chair. Unfortunately, my night of “Sleeping with the Stars” set to the ocean’s melody did not turn out exactly as planned. 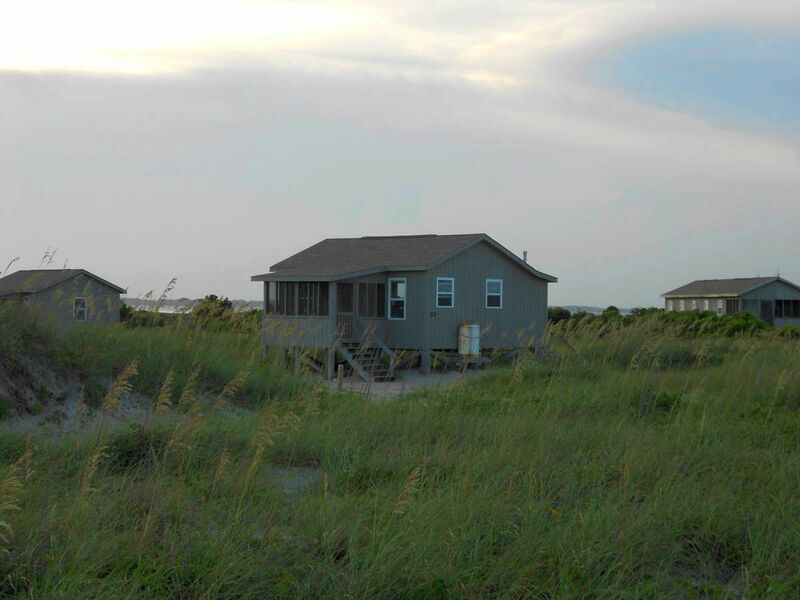 Just as I was coming back from my day at the beach, I heard coming from the direction of my cabin….actually my neighbor’s cabin….that unmistakable drone, rumble and whine….of a generator starting up. Don’t get me wrong, I own one! But that doesn’t make me like them any more when I have driven an hour, taken a 45 minute ferry, and hauled an ice chest full of relaxing refreshment to a deserted island! To make matters worse, this guy had BYO-AC! He had a cheap AC window unit propped in the window. My thought progression went like this: “Oh, well, they will turn it off as soon as the sun goes down. Okay, well, as soon as they are finished with dinner then. Just as soon as quiet hour….There IS a there a quiet hour, right? No? Well, then, surely as soon as they go to bed”….Until finally, I couldn’t wait them out any longer. I woke up to the call of nature at 4:00am. Not only was the generator still running, but so was the AC, and every light was still on as well! Their cabin was like a radiating sore on the black velvet night landscape! Finally, at precisely 7:59am on a Sunday morning, the beast fell silent. That, along with the good graces of the NPS crew who gave me a 4:00pm check-out, I was able to enjoy the blessed serenity I was seeking. Then there are those who seem to appreciate nature for what it can provide. These are the people who drive the ATVs over the dunes, drive their cars up and down the beach very fast crushing the shells, and insulate themselves from nature by bringing generators, TVs, and AC units to primitive campgrounds, leaving the electricity and lights running even when not needed. When they fish or hunt, they don’t flinch over cutting the heads off sharks, or the tails off stingrays, or “bagging” a living being as a trophy. I realize this split in recreational enthusiasts exists everywhere, but it feels more prevalent here in North Carolina, possibly due to a more even split than most states I have visited. So I think I can sense a greater struggle for control here than I can in other states. Also due to the fact that much of the land used to be old “fish camps” that were handed down through generations, but now belongs to the National Park Service. 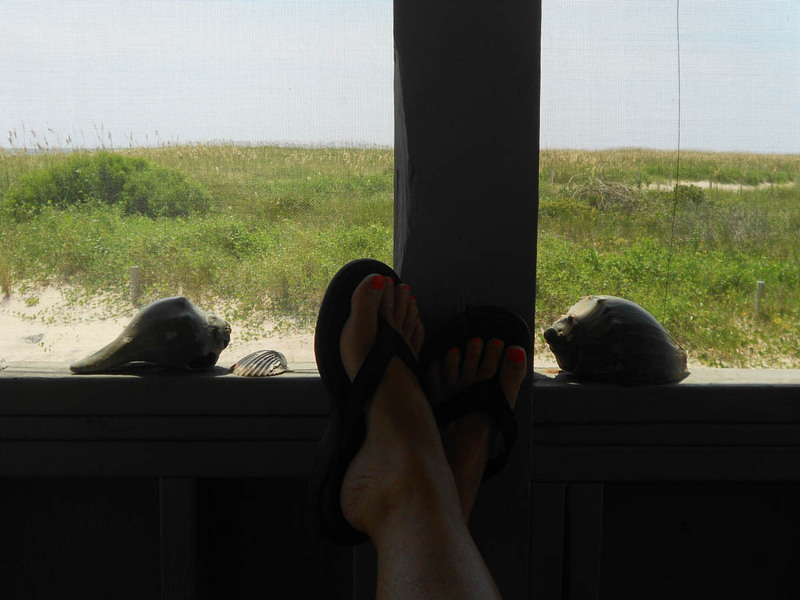 This entry was posted in North Carolina, Outer Banks and tagged Cape Lookout National Seashore, Great Island Cabins, Outer Banks by Suzanne. Bookmark the permalink. 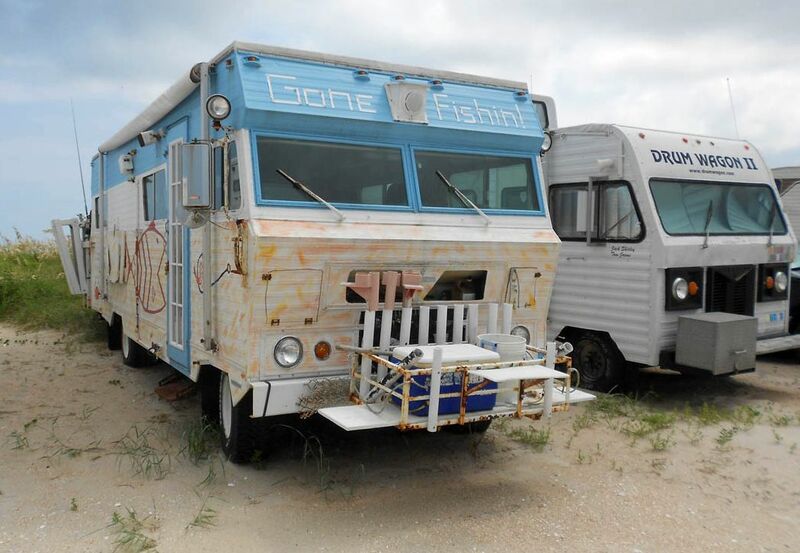 You are not alone with your Generator Blues…check out RV Sues post today. I hope to get solar on Goldie before heading out this fall, even tho my little Honda is quieter than most generators, it’s still too loud in quiet places. Well, in fairness to the “other side,” it was the NPS Park Ranger talking. The place is wired for generators, and says in the website that you can “BYOG,” I just didn’t think anyone would actually DO IT! I underestimated the ocean fishermen around here. 😉 I have a “solar savings account” going also. Hope Goldie enjoys her new glow when the time comes! I just don’t get it. Even when my “pub buddies” (for lack of a better term) and I went to the drags or a road race, we tried to limit our generator use to a couple hours at the end of the day to recharge camera batteries, RV batteries etc. Then it was “shut the hell up!” (OK, maybe in the morning for a half hour to make toast. I could never seem to come up with a good system for making decent toast without juice) But out where there’s supposed to be nothing? Please. Turn it off. 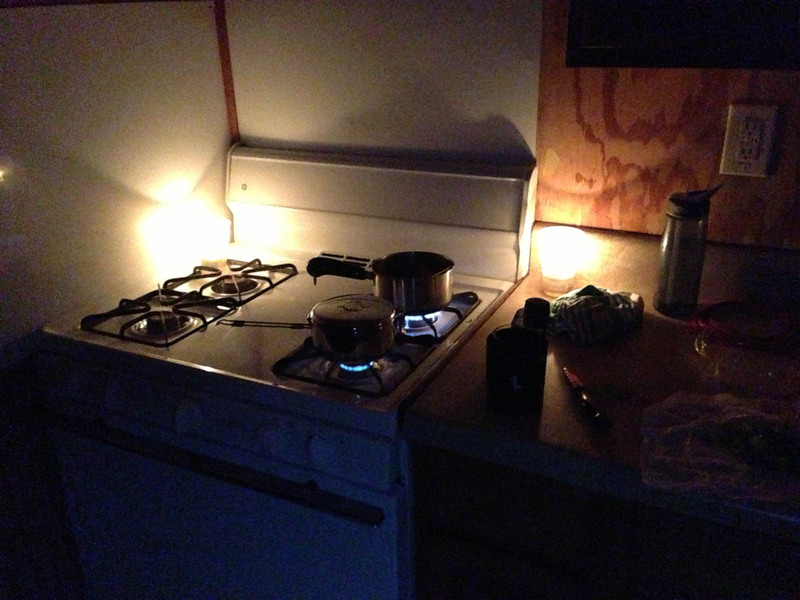 Even in a motor home, there’s such a thing as candles and/or flashlights. Darkness isn’t going to hurt you. Doesn’t anyone want to be able to see the stars at night? At least you had a peaceful day. All was not lost. Hi, Bob, Thanks for stopping by! Lynn, your “Mrs. Kravitz” comment made me laugh out loud! That is “so me!” I need me some curtains for “effect.” LOL!! I have got to get a copy of that book. I thought I was going to have to get up from my desk and knock the man off the riding lawm mower today, because he kept buzzing around my RV while I was sitting there with the door open, obviously working! There was not a blade out of place, but he just kept riding around and around in circles. 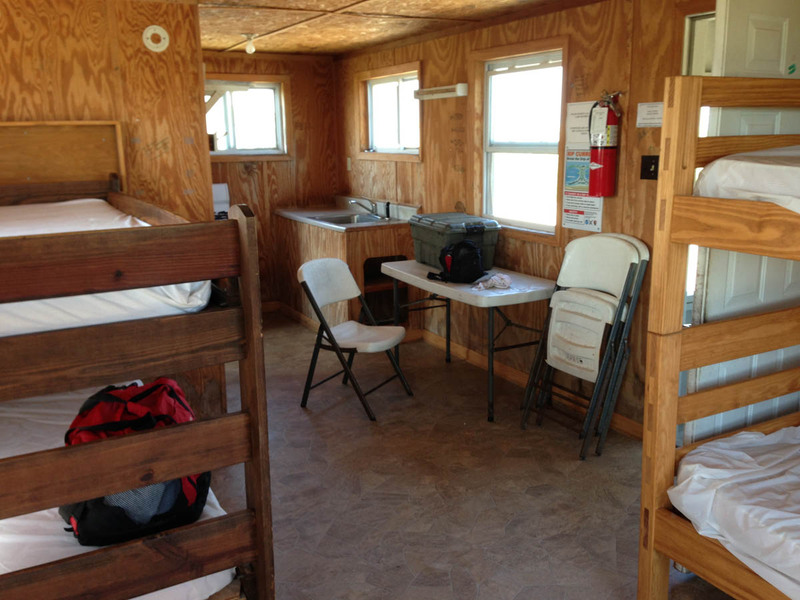 I think the best RV advice for us both is to make sure to leave money in the budget for the sweet silence of solar!! Have a great time in Greece! That time of the year should be perfect. Take lots of pics so I can follow along on the blog! I hate noise, of any kind. I am like old Mrs. Kravitz , looking out the window with disapproving eyes when people misbehave. We have a 10:00 pm curfew on noise and when my new neighbors started up their lawn mower at 10:01, I was out the door in my pj’s. They were good and turned it off. I am reading a interesting book right now “Quiet” about how introverts like yourself, myself and others struggle with the level of noise in our society. I am like you and love to hear only natural sounds but if you read this book, you will find out what a positive thing that is. Re: rv, I saw a little Minnie Winnie travel trailer and really liked it. Still looking and deciding. Most likely next spring or fall. I am enjoying hearing about all the places you are going to. I am going to spend 3 weeks in the Greek Isles, leaving end of September. Looking forward to that. I don’t appreciate the need of so many for satellite TV, A/C, porch lights and a loud radio playing 24/7. I hate that so many can’t seem to walk a foot outside in the night without a 1000 candlepower flashlight. Hence my disdain for the efforts of so many RVers to turn the great out of doors into portable urban spaces. TV on the beach? In the Rockies? Yosemite? Everglades? You must be kidding. But alas, some are not kidding and would never consider an outing without all the comforts of home. And many of them in my home state of NC will ‘fight’ you over any attempt at controlling what they see as their environment and their camp. So I think you made the right choice not to fight over your right to peace and quiet on Cape Lookout. Perhaps the Park Service will ‘see the light’ and demand it be turned off at 9 or 10 pm. Love your blog. Enjoy the road. Thanks for stopping by, Rob. “Portable urban spaces” is so true! I don’t even like turning on the AC unless the temp and humidity both reach 90! I do love your home state…Sad to say goodbye yesterday. Thanks for commenting! I think it is a matter of education. Growing up personally as a mentored “red neck”, I realize how it can be easy for someone to never notice they are making noise until they are able to experience and understand the benefits of quiet. I don’t know where that breaking point is and how to illustrate to someone who doesn’t understand it, what it means. It’s perhaps an unteachable subject, a trash and treasure thing or a red/blue state thing. Maybe the answer is the same as the only one that may ever resolve our political issues, splitting everything in half with a Red-Only or Blue-Only entry sign. But would that ever work? I do know that having a generator, satellite receiver dish, window AC, cannon outdoor search lights, Coleman lantern set, citronella bonfire, bug zappers, blenders, microwaves and anything else you can imagine has been the topic of suggestion of our 30 second commercials that have blasted us our entire life. So learning that these things aren’t our salvation to happiness can be a hampered process. It’s only recently that I believe we are starting to discover that there is an alternative to “the good life” and thus your learning and yearning for a quiet and lonely night.